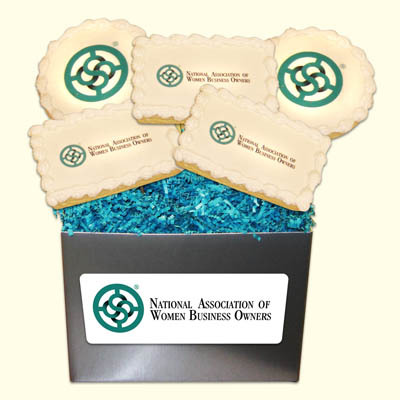 Sweeten the NAWBO ® Brand deliciously and creatively….with a Wonderland Bakery NAWBO® Cookie Bouquet. Each cookie arrangement is hand cut, covered with icing and finished with the digital logo image framed with a decorative icing border. Cookies are presented on a stick, arranged in a bouquet and packaged in a keepsake box. Perfect for meetings, seminars, thank you gifts, client gifts, referrals and just because! Custom quotes available for regional meetings, chapters, events, campaigns and celebrations too. Nationwide shipping available.